The Savvy Supper Series featuring Huff Estates was a perfect combination of good friends, wonderful wine & food. An ideal way to unwind after a busy day at work. What’s in your wine? Many wine drinkers aren’t aware that wines commonly have additives like gelatin, eggs, or milk products added to them to adjust the flavours or help clarify the wine. Most of those additives come out of the wine again before bottling, but some people are still uncomfortable with the idea. This month in Savvy Selections, we feature award-winning wines from Prince Edward County’s Karlo Estates. Karlo produces a selection of delicious, food-friendly whites, rosés and reds, and they’re also the only “plant-based” winery in the world. We give you the vegan backstory on the following pages. In your Savvy Selections you will find 3 of our Sommelier’s favourite Karlo Estates wines. 2015 Niagara Peninsula Riesling – Crisp and refreshing! 2015 Patio Reserve Rosé – Proving how flavourful rosé can be. 2013 Triumvirate – Food-friendly, with bracing acidity and wow! flavours. Karlo takes full advantage of Prince Edward County’s unique terroir to make wines that are distinct and elegant. Our Savvy Sommeliers know you’ll love them as much as we do. Call on us at anytime you would like additional bottles of your favourite Karlo Estates wines – or other wineries we have featured in Savvy Selections. Meet Sherry, Derek & the Karlo Team at Terroir – Wine Celebration in Picton on Saturday May 13 where all of Prince Edward County will be under one roof. This all day event will be filled with delicious discoveries. See you there! At that same time, Sherry and her soon-to-be husband Richard Karlo founded Karlo Estates in Prince Edward County in 2005. They built the winery from scratch. An engineer by trade, Richard led an important side project: building an immense dry-stone bridge over a creek on the property. In addition to being the largest bridge of its kind in North America, the keystone provides Karlo Estates with its iconic logo. Sadly, and with very little warning, Richard was taken by cancer at the end of November, 2014. The wine community mourned this giant of the industry, who had always lent a helping hand to others. Many – including the Savvy Team – reached out to help. Sherry was able to bring famed winemaker Derek Barnett (right in photo) onboard. Derek had won acclaim at Southbrook Winery and Lailey Vineyards. “It is a complete pleasure to work with Derek,” Sherry said. “My late husband Richard left huge shoes to fill, and Derek is doing a great job. He’s a big teddy bear and he’s so talented and so nice. Sherry explained, “2013 was a great vintage. What’s interesting about those wines is that Richard started them but Derek shepherded them into the bottle. 2015 on the other hand was Derek’s first vintage. He joined me at harvest, so they’re his beginning to end.” Sherry said they’re committed to developing great Prince Edward County wines from their own 14 acres of vineyards, but they’re not afraid to bring in Niagara fruit. “We source from Vineland and Niagara so we can get grapes that don’t grow well here, or to do styles that require a different terroir,” she said. We know you’ll agree when you taste these beautiful wines from Karlo Estates! For your Savvy Selection this month, we’ve chosen three wines that demonstrate the powerful elegance of Karlo wines. We are confident that you’ll love the stunning flavours of these wines, along with some delicious recipes that will perfectly match food and drink. Did you know that Ontario produces some of the best Riesling in the world? Or that Riesling is a fantastic, food-friendly wine that shines in summer? Sommelier Tasting Notes: Bright straw with a gold hue, this is a wonderful example of dry Ontario Riesling. There are aromas of light petrol (the classic Riesling flavour! ), lime, and tart green apple. High acidity. Dry, but with a drop of residual sugar. Tart and puckering with great minerality and just a hint of peach. The finish is bracing with flavours of limes and green apples. Suggested Food Pairings: The bright acidity and hint of sweetness on the finish will work well with spicy and fatty foods. Try it with a Thai Red Curry (recipe below). Cellaring: Drink at 8ºC within two years. Savvy Sommelier Tasting Notes: I mainly drink rosé in the summer. I find the big flavours of a good, dry rosé very satisfying while being refreshed from the well-chilled wine. Karlo’s Patio Reserve is made from Frontenac Noir grapes blended with a little Vidal. Frontenac was developed to thrive in our cold climate and it offers fruity, satisfying flavours. This wine tastes of cherry, strawberry, peach, and mint. It’s mostly dry, with a hint of sweetness to balance the bright acidity. Best comparison? Strawberries and rhubarb! There’s a long, tart strawberry finish. Yum! Suggested Food Pairings: Off-dry wines pair beautifully with spicy food, and this is no exception. Try spicy paella made with a mix of fresh and preserved vegetables (recipe below). Cellaring: Ready to drink now, this could be cellared for up to 2 years. Serve between 8-10ºC. Named for the Roman practice of three rulers working together, Triumvirate is blended from Cabernet Sauvignon 62.5%, Cabernet Franc 25%, and Merlot 12.5%. Savvy Sommelier Tasting Notes: Opaque cherry in colour, there area are big, fruity aromas of blackberries, leather, smoke, black cherries, and mint. On the palate, there’s more of a tart cherry presence, with the smoke and mint and a hint of alcohol. Good, chewy tannins and medium-plus acidity, this has a long tannic and tart cherry finish. This wine is meant to go with good food! Suggested Food Pairings: The mouth-watering acidity and fresh fruit notes make us think Italian. And what better time than spring to try a new way of serving pasta? Serve this bright wine alongside pasta with ramps, fiddleheads, and sausage (recipe below). Since we’re having plant-based wine, let’s try some flavourful veg dishes for a warm spring or hot summer’s day or make it a Meatless Monday! Make a fresh spice paste or use your favourite bottled or dry curry spice! Whiz the paste ingredients in a food processor. Marinate the tofu in 2 tbsp soy sauce, juice 1 lime and the chopped chilli. Heat half the oil in a large pan. Add 3-4 tbsp paste and fry for 2 mins. Stir in the coconut milk with 100ml water, the zucchini, eggplant, and pepper and cook for 10 mins until almost tender. Drain the tofu, pat dry, then fry in the remaining oil in a small pan until golden. Add the mushrooms, sugar snaps and most of the basil to the curry, then season with the sugar, remaining lime juice and soy sauce. Cook for 4 mins until the mushrooms are tender, then add the tofu and heat through. Scatter with sliced chilli and basil and serve with jasmine rice. Combine the stock and saffron threads in a medium saucepan and bring to the boil over high heat. Reduce heat to low and maintain a simmer. Meanwhile, heat paella pan on the stove with 1 1/2 tablespoons Olive Oil. Add Onion to Paella Pan and sauté for 2 minutes. Add sliced red and yellow pepper and continue to sautée till softened, about 5 minutes. Add the mushrooms and garlic and sauté for 5 minutes or until it has softened slightly. Season liberally with salt and pepper. Increase heat to medium-high. Add Bomba rice, tomato and smoked paprika and cook, stirring, for 1 minute until well mixed through. Reduce heat to medium-low. Add one-third of the saffron infused stock and stir until just combined. Let simmer uncovered for 5 minutes or until liquid is almost absorbed. Add the next third of the stock and cook for 5 minutes uncovered or until almost absorbed. Add remaining third of stock and cook for 5-10 minutes uncovered. Sprinkle surface of paella with peas and artichoke hearts. Cover entire pan in tin foil and leave to cook on a low heat for 12 minutes. After 12 minutes, turn heat off but leave the paella pan covered with tin foil for another 10 minutes. Remove tin foil after 10 minutes and garnish with parsley. TIP: If you want to veg-ify this recipe, substitute some of the excellent commercial veggie sausages that are widely available from companies such as Field Roast or Tofurky. Ramps (aka Wild Garlic) and fiddleheads are available at farmers’ markets each spring. Bring a large pot of salted water to a boil. If making dry pasta (8-12 min cook time), add pasta to the pot before beginning to cook the ramps. If using fresh pasta (1-2 min cook time), begin making pasta after the “sauce” part is done. Cut up the ramp bulbs (white section) into small pieces and separate it from the leaves. Coarsely chop the leaves into 1-2 inch sections. Saute the ramps bulbs in olive oil over medium heat until they soften, about 2-3 minutes. Add the sausage and break apart the meat with a spatula. Add the ramp greens and the optional fiddleheads. Add salt and pepper to taste. Once pasta is done cooking, add the cooked pasta and some pasta water (maybe start with ¼ cup?) to the ramps/sausage mixture and stir it all together. If you want it spicy, optionally add red pepper flakes. Since my sausage was spicy I didn’t add any. Enjoy the spring with your Savvy Selections! 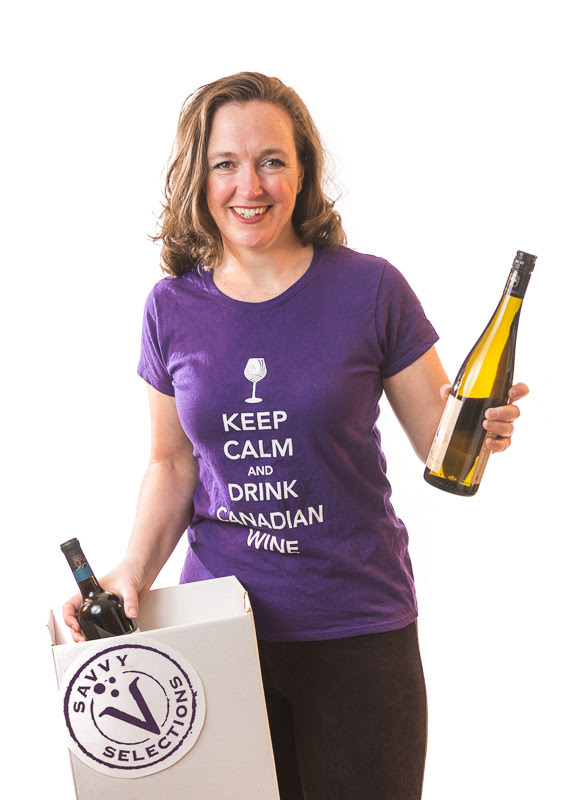 When you think of the saying “To make a living in wine, you should start with a fortune”, do you think many people would trade in their successful home-reno business in busy Toronto to move to Prince Edward County to start a winery? It sounds like an adventure to me, and perhaps a risky one…especially when at the time, the viability of ‘The County’ as a wine region was still questionable. Now, 15 years later, Dan Sullivan and his partner Lynne have built (and also expanded) their winery – Rosehall Run Vineyards – and have become pillars of The County as they continue to pioneer and champion the wines of their region. They are certainly amongst the “Go To” people for the culinary and cultural scene in the area. During a recent trip, our Savvy Sommelier Erin Bolling visited Rosehall Run and chatted with Dan who is the winemaker and co-owner. Now, let it be said that this was not a quick visit, because I can attest that Dan can talk your ear off about all things involving The County and wines! In this issue of the Savvy eZine, Erin shares with you some insight into the evolution of Rosehall Run and what has changed at the winery since we last featured them back in March 2010. And you will read that plenty has changed for Rosehall! Rosehall Run Pixie Rosé – $17.95 As the name denotes this unique Rosé is purely magical. A light sparkling rosé will add a bit of fun to any mid-winter celebration or add celebration to any mid-winter night! Rosehall Vineyard Chardonnay JCR VQA 2011 – $29.95 A terrific example of what Prince Edward County Chardonnay with its tropical aromas and county minerality that make wines from this area so distinct. Pinot Noir Cuvée County VQA 2010 – $22.65 This Pinot Noir is so consistent and of incredible value at this price that we easily recommended year after year. When we previously featured Rosehall Run in the March 2010 Savvy Selections, subscribers received a bottle of this wine from the 2008 vintage. This 2010 vintage comes from a scorching hot summer and delivers a lovely medium body pinot with a balance of acidity and fruit. Pinot Noir JCR Rosehall Vineyard 2010$39.00 – An award winning Pinot Noir reminiscent of Burgundy that is lush and fruity. Similar to other wineries we have featured in Savvy Selections, some Rosehall Run wines are on the LCBO shelves. However, there are many of their wines that are not. If you would like additional bottles of your favourite Rosehall wine – or other featured Ontario wineries – just give me a call on 613-SAVVYCO (728-8926) or send me an email to debbie@savvycompany.ca to arrange an additional delivery for you. It is always my pleasure to introduce you to wonderful new Ontario wines…especially from The County! I’m from a culture (and family!) that puts a lot of emphasis on food and we are honestly expected or required to drink wine at certain times of year to mark certain holidays and occasions. As many of you may expect it was an absolute pleasure to speak with Dan Sullivan at Rosehall Run and commune with him about the pleasures of food & wine. During our interview…well more like a chat amongst friends, he filled me in on coming plans for his property, as well as some tips for people attending Terroir County Celebration on May 3rd. A HUGE pat on the back! Since the Olympics were just on recently and Canada did so well it is easy to understand how great winning awards feels. Dan and I spoke about the numerous awards his wines have garnered over the last decade. Does he like winning awards…of course! To his surprise and delight Rosehall Run has recently won recognition for the JCR Chardonnay (that is included in your Savvy Selections) by The Drinks Business – an international magazine based in the UK. This was surprising since Rosehall Run stepped back from entering competitions in 2013 so that the team could put their energies into their newest event – ‘Red, White & Blues in the County’. That aside it is quite an accomplishment to be one of only 2 Canadian wineries recognized amongst hundreds from around the world. As you would expect, the Rosehall team are over the moon with this international recognition. Entering competitions is time consuming and costly…so why do it? Dan, Lynn (in photo) and the entire staff are dedicated to raising the Canadian and ‘County’ flag whenever possible. 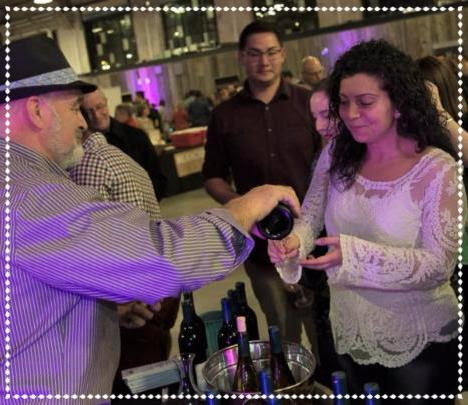 They enjoy getting the word out about their wines and helping consumers to understand that the wines offered by Rosehall Run are able to stand up to international competition. For instance, Rosehall Run enters their wines in the Pinot Shoot out and Intervin competitions pinning their wines with international wines. “Competitions are measuring sticks for what the bottle will offer the consumer. A medal will give them a reasonable confidence that the wine is good”, Dan explains. He also recognized the importance of local competitions. 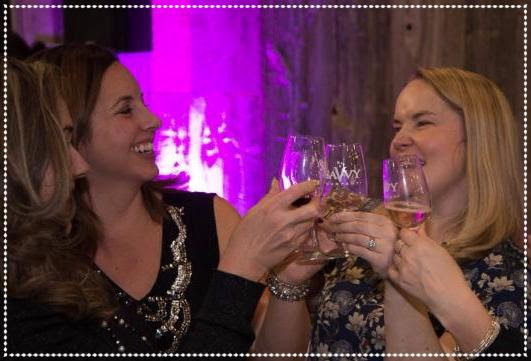 Rosehall Run has been a contender for years in Canadian competitions such as: Wine Access Canadian Wine Awards, Ottawa Wine Challenge and the Artevino Wine Awards. Regardless of the competition or award, Dan says the most rewarding accolades come from personal compliments. He does a lot of winemaker dinners and interacts with customers at every opportunity. I remember Dan’s jubilant personality at a winemakers dinner I worked at back in 2008 and how it inspired me to work more with Savvy Company. Gourmet Picnics – Yes please! The Greer Road Grocer is another feature at Rosehall Run. This is the inspiration of JJ Syer who is Rosehall’s hospitality professional. Dan praised her ability to work with local producers and help grow Rosehall’s focus on showcasing local products. You can find everything from local cheeses to charcuterie and chocolate….anyone up for a gourmet picnic? I’ll sure be sharing this travel tip with my family and friends! If you’re in the market for local art, you’ll find it at Greer Road Grocer as well. Dan especially loves the bottle openers an artist has made out of old spikes from the local train tracks that were ripped up last year. He says they are very functional so get them while you can! This fills a niche for visitors by exposing them to fabulous local products but offers a dine-in option (on site) or to go with you as you continue to drive along the back roads of The County. As you can tell there is always something changing at Rosehall Run. The winery may be best known for Chardonnay and Pinot Noir but that does not restrain Dan from experimenting and breaking new ground with what is planted. The annual Terroir festival which is the County’s chance to showcase their new wines will see Rosehall release a Méthode Traditionelle Blanc de Blanc Sparkling wine (winespeak: sparkling wine made in the classic French Champagne method using 100% Chardonnay grapes). There are also estate grown Pinot Gris and Sauvignon Blanc wines coming soon. In fact Rosehall has the oldest plantings of Sauvignon Blanc in The County. “I am excited to tell you that we have also started to grow Tempranillo. The type of soil in PEC is similar to where this grape is grown in Spain and I am confident the grapes will adapt well” explains Dan. Not surprisingly Tempranillo is one of Dan’s favourite types of wine! As a parting question I asked what the most memorable reward has been for Dan. Of course there are many he says but bringing his daughter with him to London England in 2010 to showcase Rosehall Run Chardonnays for the European wine critics. Accolades and awards aside, Roshahall Run is a big family run endeavor. 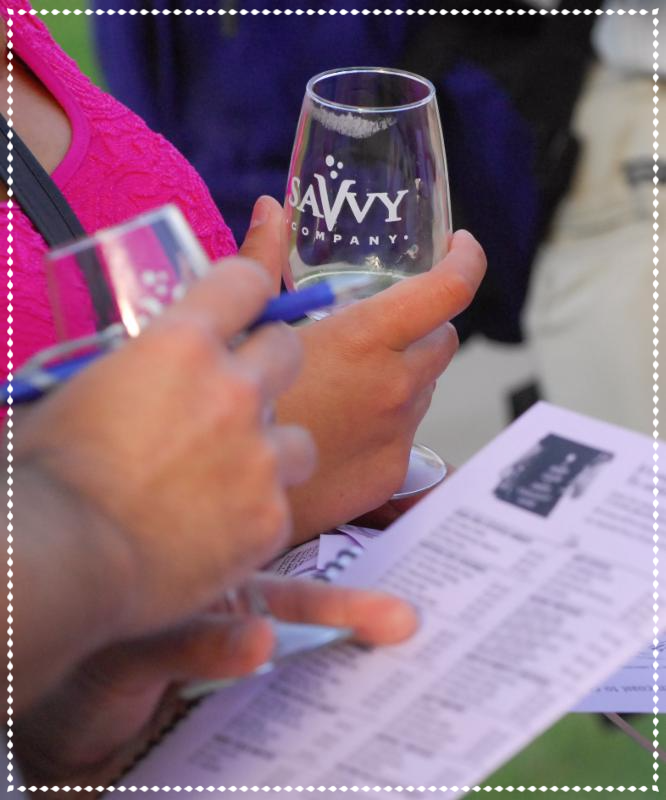 Next time you are in PEC drop by and say hello to the team or join the Savvy Bus to visit them at Terroir in May. Sometimes a look says it all. After an initial sniff and sip of this bubbly Savvy Team member Amanda had an almost punch drunk smile! A glass of this wine will makes any person happy. From the peachy pink colour to the fruity tenure of the wine this blended rose will have you think spring has sprung. Savvy Sommelier Tasting Notes: A blend of Riesling, Chardonnay and Zwiegelt grapes combine in this mouthwatering offer. Fruits such as strawberry, watermelon and hints of lime and roses were present. The finish is a lingering crisp and dry one. Suggested Food Pairing: Pop open a bottle for any occasion. The panel imagined this as an excellent wine with take-out sushi. It is also a great starter to any meal and therefore we have a watermelon & feta skewer salad to accompany it. Not only will this taste good together but it is colour coordinated! This wine is made from the premium lots of Rosehall Run’s North Estate and bears the initials of the winery’s co-founder John Campbell Reston. Congrats to the winery team on the distinguished recognition of this wine as one of the 2013 Chardonnay Masters of the World….we are thrilled to include this wine in your Savvy Selections. Savvy Sommelier Tasting Notes: When tasting this wine during a snow-storm in February we were transported to tropical daydreams by toasty hints of coconut, brioche and tropical fruit. The wine is medium to full bodied an slightly sweet with a lovely zesty lemon finish. Suggested Food Pairing: The Savvy Selections tasting panel thought a lot about what to match this with. Finally we agreed on a recipe for Coconut crusted chicken with mango ginger mint salsa by Chef Michael Smith. It is widely accepted that Prince Edward County is a great place for making Pinot Noir due to its limestone and Burgundy like soils. This particular Pinot is comprised of grapes from all over the county and is the result of an exceptionally hot summer. Savvy Sommelier Tasting Notes: A typically light translucent garnet colour this Pinot shows the hallmarks of its varietal. The wine is woodsy on the nose with hints of roses, violets, dark cherry, raspberry and sweet spice. These descriptors follow through in the palate as well with a medium mouth feel and balanced acidity. A juicy finish will stick with you. Suggested Food Pairing: Smoked or baked salmon would be a great match for this wine. Our panel thought that since this is a crowd pleasing wine our subscribers might like a recipe that feeds a crowd – Greek Moussaka from Canadian Living. This recipe calls for lamb which matches the suggestions on the winery site. Let us know what you think of the recipe on our Savvy Selections Facebook page! There’s an anniversary on the horizon! It seemed almost a surprise to Dan that there is a 10 year anniversary coming up in 2016. Since planning the first acreage in 2001, releasing estate grown wines in 2005 and opening the tasting room in 2006, Rosehall Run has been constantly improving on an already good thing. Dan and Lynn are committed to offering quality wines and experiences to their customers and this dedication will be sure to raise the ratings of Rosehall on Trip Advisor! Dan filled us in on plans to expand the tasting room in order to offer more hospitality. He looks forward to being able to host bigger groups. They will also be covering the crush pad to offer more relaxation space. Prepare the ingredients in assembly line fashion. Skewer watermelon first, then mint then feta. Make the salsa first by simply tossing together the mango, green onions, red pepper, mint, lime zest, lime juice, ginger, honey, olive oil, and salt. Set aside. Preheat your oven to 400°F. Lightly oil a baking sheet. Put the flour, eggs, and coconut into three separate bowls and season the flour. Working with one breast at a time, dredge the chicken in the flour, coating it evenly and shaking off any excess. Dip the chicken into the egg, coating it evenly and letting any excess drip off. Finally, dip the chicken into the coconut, turning, pressing, and sprinkling as needed so the crust adheres. Place the crusted breast on the baking sheet. Repeat with the remaining chicken. Bake until the breasts are golden brown and crusty, approximately 15 to 20 minutes. The chicken is done when a meat thermometer inserted in its thickest part registers 160°F. In shallow Dutch oven, sautée lamb over medium-high heat, breaking up with spoon, until no longer pink, about 10 minutes. Drain fat from pan. Add onions, garlic, oregano, cinnamon, salt, pepper and allspice to pan; fry over medium heat until onion is softened, about 5 minutes. Add tomatoes, mashing to break into small pieces. Add wine and tomato paste; bring to boil. Reduce heat and simmer until space does not fill in after spoon is drawn across bottom of pan, about 30 minutes. Meanwhile, peel potatoes and eggplant; cut into 1/2-inch (1 cm) thick slices. Arrange in single layer on parchment paper-lined rimmed baking sheets. Brush both sides with oil; sprinkle with salt and pepper. Roast in 450°F (230°C) oven, turning once, until tender and golden brown, about 30 minutes. Meanwhile, in saucepan, melt butter over medium heat; whisk in flour and cook, whisking, for 1 minute. Gradually whisk in milk; cook, whisking often, until boiling and thickened enough to coat back of spoon, about 12 minutes.Add salt, pepper and nutmeg. Spread 1 cup of the Bolognese Sauce in 13- x 9-inch glass baking dish then layer with half of the potatoes, 2 cups of the Bolognese Sauce, all of the eggplant, 2 cups of the Bolognese Sauce, remaining potatoes and remaining Bolognese Sauce. Spread Béchamel Sauce over top and sprinkle with cheese. Make-ahead: Let cool for 30 minutes. Refrigerate, uncovered, until cold; cover and refrigerate for up to 24 hours. Add 40 minutes to baking time. Prince Edward County is Canada’s fastest growing wine region with 25+ wineries awaiting your visit – only a three hour drive from Ottawa. Housed in a heritage Loyalist barn, owner & winemaker Richard Karlo crafts outstanding white, rose, red & even port wines! Karlo Estates Winery is definitely a must visit on your next trip to “The County”. Savvy Sommelier Tasting Notes: Everything about this wine is watermelon – its colour, aromas & taste – with a splash of tangerine & ruby red grapefruit. Crisp & refreshing, this medium bodied Rose feels delicious in your mouth. Suggested Food Pairings: Unwind with a glass on the deck, at the cottage, or pack with a picnic – don’t you agree? Here’s to summer! Want to buy this wine? We can arrange for it to be delivered! Karlo Estates has been a feature winery in our Savvy Selections wine of the month club. Call on the Savvy Team to arrange a couple of bottles or a case of this wine or others from Karlo Estates right to your door. Better yet, subscribe to Savvy Selections & each month you will have outstanding Ontario wines that you won’t find at the LCBO delivered to your home or office! Prince Edward County is Canada’s fastest growing wine region. Not to be mistaken with Prince Edward Island, ‘The County’ as it is commonly referred to, is only a three hour drive from downtown Ottawa. In the heart of The County, the quaint Loyalist town of Picton boasts restaurants, inns, shops, Sandbanks Provincial Park and most importantly 25+ wineries await your visit. It is no wonder that, ‘The County’ is a perfect day trip or weekend getaway. Take note that the wines from Prince Edward County have been quickly making an impression. Internationally renown wine writer, Matt Kramer of Wine Spectator Magazine, named Norman Hardie’s Prince Edward County Chardonnay VQA 2008 as one of his top wines of 2011: “This is a truly great Chardonnay of compelling character.” And Kramer has MANY wines from around the world to choose from to make his annual top wine list. While this Chardonnay was singled out, there are several other Whites, Reds and even Roses that are turning heads. At this event, it is your turn to be impressed. And you can buy your favourite wine too. Most of The County wineries have small inventory, so their wines are not stocked on the LCBO shelves. When The County comes to the City, you can order any combination of your favourite wines directly from the winemakers to be delivered straight to your home or office. 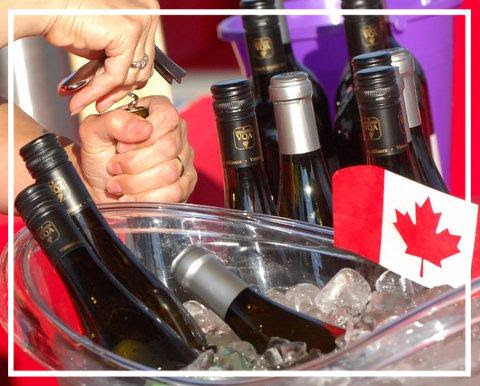 Hop in the car & join Savvy Company & many other wine enthusiasts on Saturday May 26th to celebrate the wines of Prince Edward County at Terroir – A County Wine Celebration. 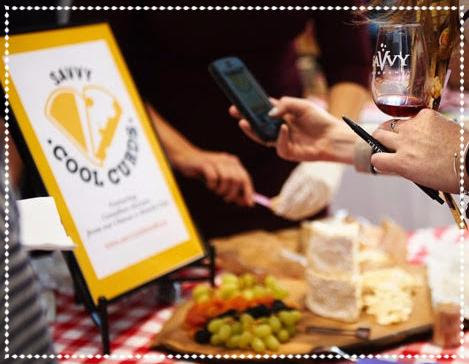 Sip, savour & graze around the historic Crystal Palace from 12pm – 8pm meeting winemakers & taking in seminars hosted by Savvy Company, winemakers & other wine personalities showcasing wines, cheeses & food in The County. Tickets $35 in advance ($40 at the door). We look forward to seeing you there! Hop on our bus! We are working on a roundtrip bus package from Ottawa. Interested? Email us to receive info as soon as it is ready.